Castello di Gallano Resort is one of our favourite escapes during the summer months. 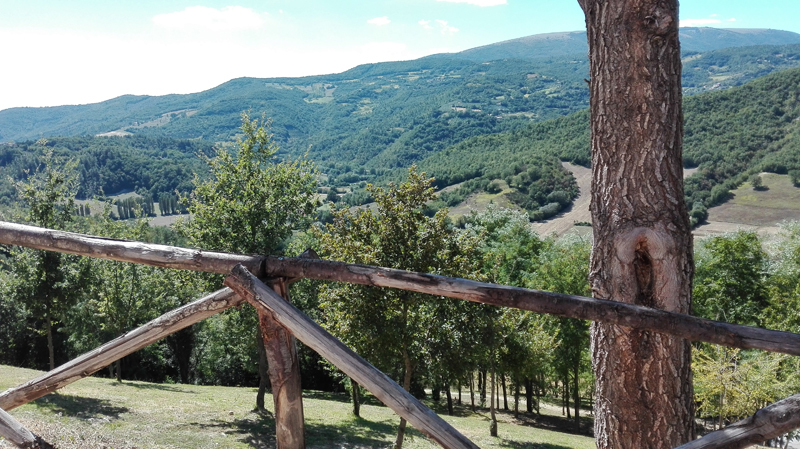 Plunged into the green Umbrian country, it offers the visitor a memorable and relaxing stay. 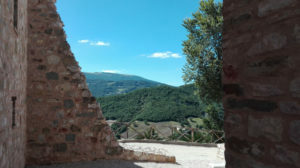 Enchanting is the area, which can be reached by driving through some lovely Umbrian countryside. 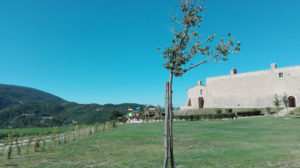 The medieval hamlet (which remains are still visible today) has been turned into this fantastic resort. 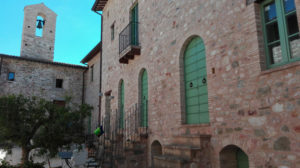 The 32 recently renovated apartments are well equipped and nicely furnished. 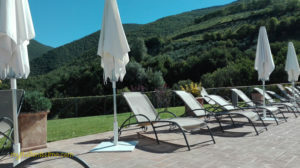 A very pleasant setting with swimming-pool (very refreshing on a hot day) surrounded by gorgeous Valtopina panoramas. Extensive park-like areas allow you to get away from it all. Guests can use the many common areas such as barbecue facilities, picnic area and a playground for the little ones. 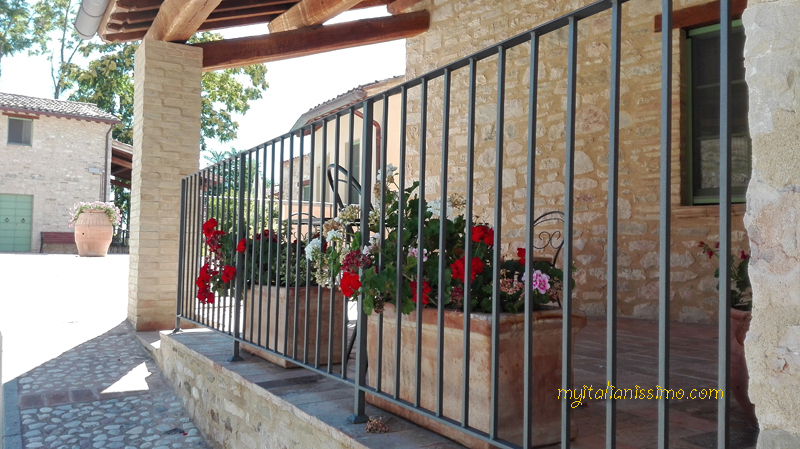 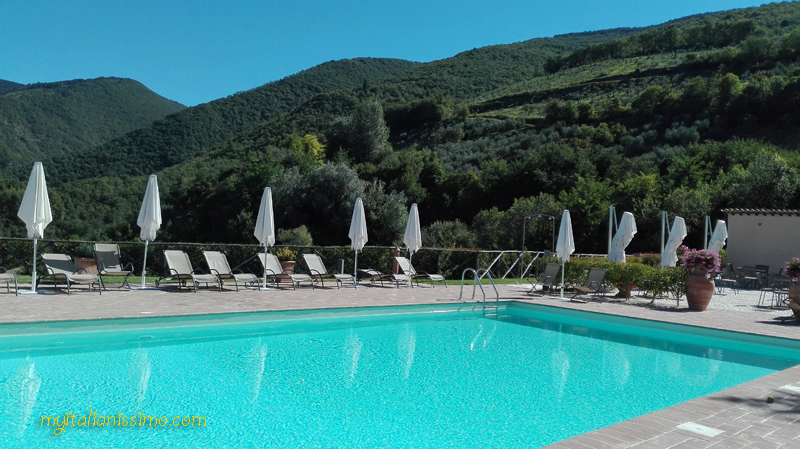 Here one can relax in the resort’s sublime surroundings or enjoy day trips to many beautiful towns easily reached from the resort – Foligno, Assisi, Perugia, Bevagna, Spoleto. 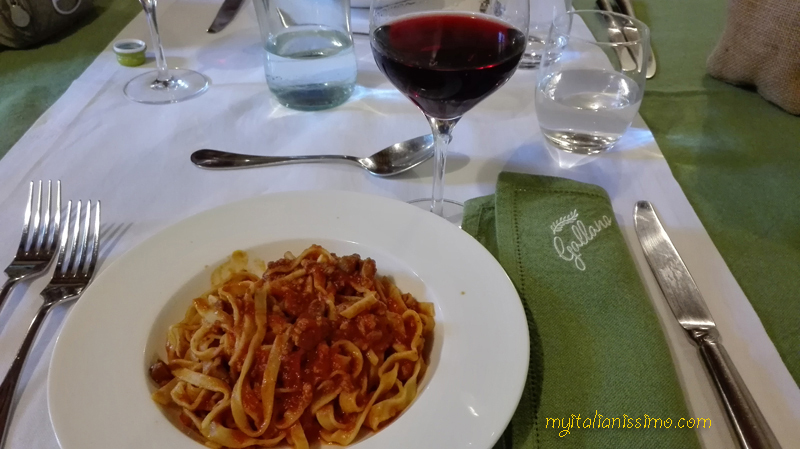 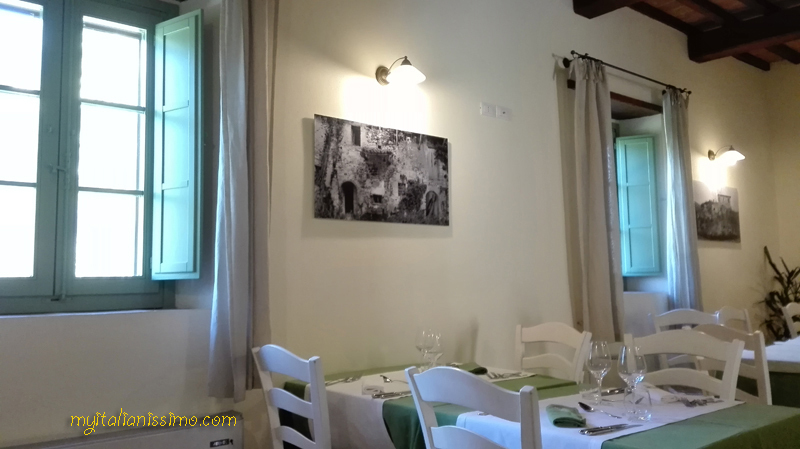 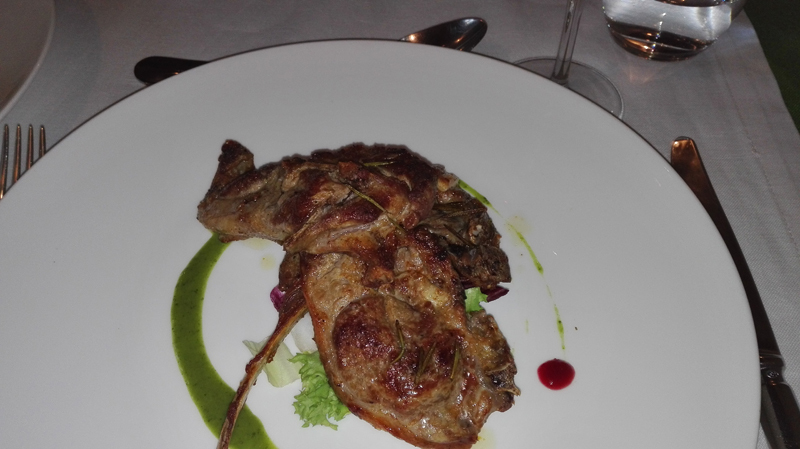 The elegant restaurant where to discover typical dishes of Umbrian cuisine. 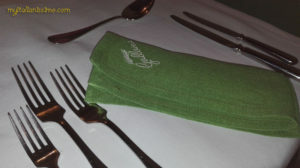 Everything is prepared out of high-quality products. Homemade pasta, truffles, and fine meats – all combined to ensure a memorable dining experience. 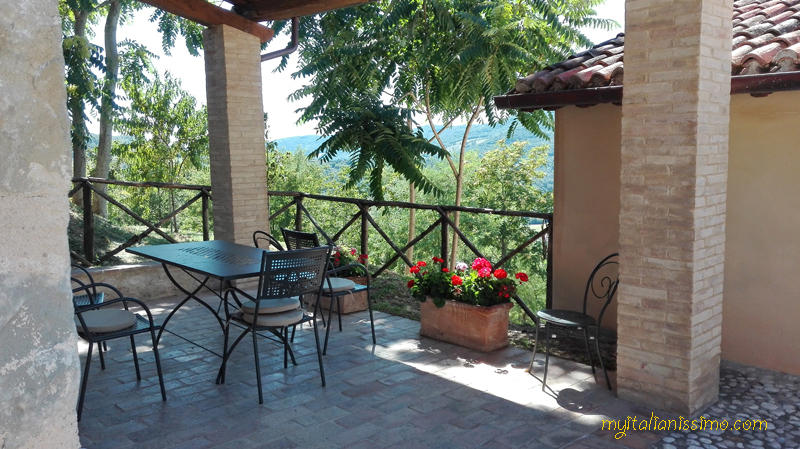 The views all around are breathtaking and the accommodations are beautiful too. And what better way to spend an afternoon in Umbria than to come back to your accommodation and continue enjoying this view from your very own terrace, or maybe poolside with aperitivo!